LE laboratory furnaces in stock now. Express dispatch available. Contact sales@lacasia.net for details. LAC Furnaces and Dryers based in Brno, a major Czech city and industrial center, is a top producer of heat treatment equipment and refractories and castable shapes in the greater European region. 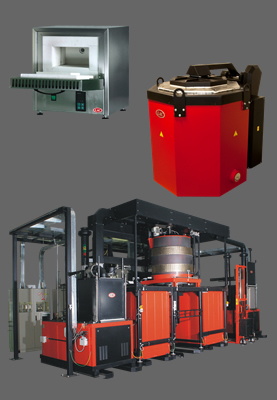 With ISO9001, TüV and CE certification, LAC has been designing and producing a wide range of high quality furnaces and dryers for more than 20 years. Well-known in Europe for high-quality, eco-friendly heat treatment equipment and tailor-made atypical solutions, LAC clients include Bosch, BMW, Volkswagen, Toyota, Skoda and many other well-known multinational corporations. Since entering the Asian market in 2008, LAC has provided top-quality, energy-saving products and consistently excellent service to laboratories, universities and production facilities across the region. LAC products range from from 60°C to 2000°C, and include controlled atmosphere and vacuum heat treatment equipment, as well as a energy-saving eco-friendly line for foundries and the die-casting industry. The LAC focus is on both top-quality solutions as well as service, with a dedicated group of technical staff ready to provide you with professional technical support and service. We welcome inquiries from distributors who are looking to expand their product line to include high-quality LAC heat treatment equipment and laboratory furnaces across the Asian market.